This is a state subsidy for clerical salaries in Austria. It was meant for the working clergy, and comes from the 18th-century sale of lands held by the "idle" monks. E.g., The Austrian Concordat (1933, Art. 12.2) stipulates that the congrua could be drawn from the "religion funds" (administered by the state). What is the origin of these Austrian "religion funds"? 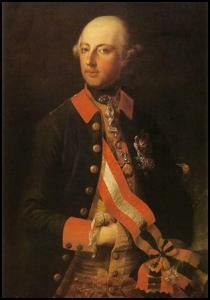 They go back to the 18th-century Holy Roman Emperor Joseph II. He was an “enlightened despot”, whose motto was "Everything for the people, but nothing by the people." He tried to help the Church do good by supporting its ministry and its social services — and eliminating the rest. Thus he said that no one should have to go more than an hour by foot to attend church and he established a thick network of parish churches to accomplish this. He also founded seminaries for priests to improve their ability to serve their flocks. And any monastic orders that ran schools or hospitals he left in peace to get on with the job, but the rest he expropriated. In one stroke his Edict on Idle Institutions more than halved the number of monks in his empire. The proceeds from this formed the religion funds from which, to this day, are drawn the congrua to pay the salaries of Austrian priests.